An epic history, an incomparable adventure. Here is the saga of the free being—the mistakes he made, why he made them and how they led to his final defeat. But a new cycle of freedom has begun. Thetans, after a long, long decline, can finally recover all their power and abilities. A single question remains: how to prevent future entrapment and so continue powerful and free? This time, OTs will stay OT not just for a few trillennia, but triumphantly forever. 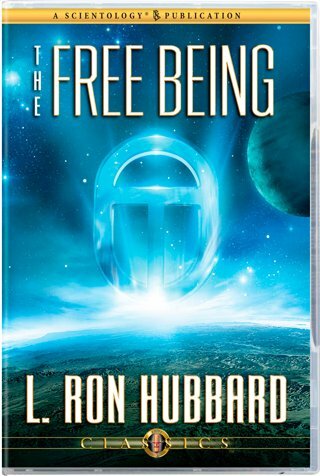 An epic history, an incomparable adventure—such is a lecture that hardly needs an introduction, for L. Ron Hubbard’s legendary account of how beings became entrapped is our story. Here is the extraordinary truth about the long war between thetans and meat-body societies—a war in which unlimited force proved no match for guile and treachery. Fought across the eons and throughout the galaxies, it featured theta traps, space wagons, planet-busting and all manner of space opera. But above all, here is the saga of the free being—the mistakes he made, why he made them and how they led to his final defeat. And although this monumental whole track drama is now over, its repercussions continue to shape the career of Earth. From here on, the universe will change, for a new cycle of freedom has begun. Thetans, after a long, long decline, can finally recover all their power and abilities. But a single question remains: how to avoid the mistakes of past ages, thus preventing entrapment in future ages and so continuing powerful and free? Here, then, is the answer. This time, OTs will stay OT not just for a few trillennia, but triumphantly forever.